I had three full days with Shiva, booked 2 days before i arrived and he accommodated me on everything. 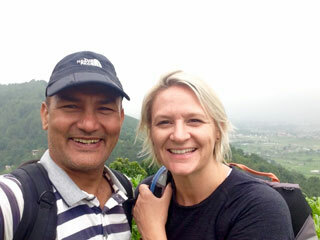 I did 2 days treks out of Kathmandu, and one of the free walking tours. I was in Kathmandu over the rainy season so was lucky that i had Shiva all to myself. He is a smiley, kind and caring man. I felt very safe and happy as a single girl travelling alone. Throughly recommend Shiva to do your city walks and treks with. Namaste Shiva! I signed up for the free walking tour with Shiva by sending a facebook PM. I got a confirmation and met him at the meeting point exactly at the agreed upon time. The tour was fantastic. He is extremely passionate about the local way of life, and religious themes. The tour took us 4 hours and he also very kindly, took extra time, to get me sorted with a sim card for my phone and also assisted me in finding a repair shop for my camera. All this was way after the tour ended and on his personal time. Cannot say thank you enough! Note- some people don’t understand how free tours work. Always tip, that’s how they work. Give what your heart says but make it count. 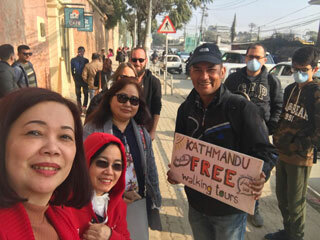 It was a really great experience walking with Kathmandu Free Walking Tour along the city streets of Kathmandu. Shiva is super amazing, extremely professional, friendly and very knowledgeable. 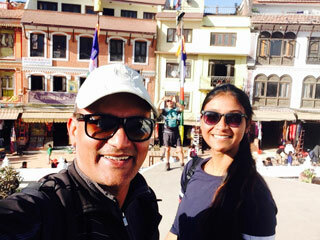 My friends and I didn’t sleep the night before the trip...we reached Kathmandu, drop our bags in the hotel and went to the meeting place in the Garden of Dreams then joined the walking tour. Shiva was so patient, flexible with us and with our walking pace. We never felt rushed and when we are far behind he waited for us. We really enjoyed our time and Shiva gave a great introduction and information about Nepal and Kathmandu. We learned a lot about the culture, architecture, religion, the city of Kathmandu and Nepal. Shiva you are and will always be blessing to many and to your country. I highly recommend this tour to everyone! 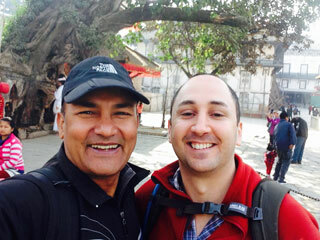 This morning I went on the exiting and comprehensive walking tour of magical Kathmandu with eloquent and engaging local expert Shiva. This was the morning of wonderful discoveries of major attractions along with hidden places out of the beaten path that I would have never mastered to find on my own if not guided by Shiva. Many thanks to Shiva whom Inhighly recommned! 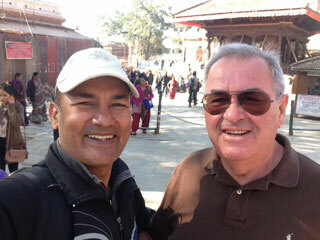 Contact him the first thing once you are in Kathmandu and you will hit the ground running! Himkala Adventure organizes Free Walking Tours around Kathmandu every day. It is a fantastic concept since it allows travellers to get an idea of the real Nepali people in their habitat. I found it really fascinating because not only is it free but it also takes you through the busy local markets, allowing interaction with the locals. If you are visiting Nepal for the first or even the 10th time, you will find that this trip is really informative and enjoyable for all, children and adults alike. There is an option for you to either walk all the way or take the bus. Shiva is very flexible with his timings. Would definitely recommend as a must-do activity if you wish to experience the real Nepali culture and everyday life.